1) First of all, Dimple and Rishi are so freaking cute. Each of their interactions, conversations—literally everything about them together—left me with a huge smile on my face. I loved those two from their very first meeting; They were quite literally made for one another, and they made me so happy! 2) The dialogue, you guys! Oh my gosh, it is so hilarious, adorable, and witty! I was thoroughly dazzled ;) Dialogue—to me—is often the best part of books, and it was definitely one of my favorite aspects of this one! 3) I love how culturally rich the story is! Thanks to this book, I looked up many different Indian dishes, listened to new music, and I even looked up several Bollywood movies! At the same time, Sandhya Menon highlights certain biases and negative stereotypes that many Indian people face, which I appreciate as well. This novel is not only fun, adorable, and interesting—it's also enlightening. 4) I love how Rishi struggles with pursuing his passion for art versus a more "practical career." This was something I truly identified with, so I'm sure that many people in the book and art community will feel the same. It was really moving, and it made me reflect on my own struggles in this area. At the same time, the book has a very positive and hopeful feel about it, so it made me feel better about some things at the same time. 5) Dimple and Celia's friendship was both delightful and complicated. Not only are they friendship goals, but their relationship accentuates different molds and pressures that are put on females. I loved watching their bond grow and be tested. I found it to be very realistic and gratifying. 1) The main reason I'm not giving this book the full five matryoshkas is because of the last third of the book. Suddenly, the plot is rushed forward so quickly that I almost got whiplash. Dimple and Rishi had been insanely cute and sweet until this point, and then out of nowhere, Dimple randomly starts to second-guess her relationship with Rishi. I didn't feel like there was any build-up to this part of the book. It was like everything is adorable, my heart is singing, and then BAM—heartbreak, angst, and the sound of my dreams dying. Granted, there is a happy ending, but I just wish we could cut out a little bit of the extra drama before we get there. 2) I wish that Rishi and Dimple had more equal character arcs. We see more of how Rishi changes and deals with his family's expectations, and I would have loved to see more of that with Dimple. EEEK I am so excited to read this book! I have an ARC of it but I have been super slow in getting to it but so good to hear you enjoyed it! I am very much looking forward to reading this gorgeous book! We've started this one and love it! Ugh, so good. I love Bend it like Beckham and rom coms so it sounds like I should preorder this book (: Awesome review! This book looks so incredibly adorable. I just can't wait to read it!! (Oh, and I really love the gif you used under your "Culturally Rich" bullet point. I found myself watching it over and over again! Also witty fun dialogue?!?! I'M SO IN. I can't wait for this book, it sounds like everyone has loved it so far! I love how cute the couple sounds and the diversity and banter sounds fantastic. Lovely review Brittany! Thanks for the lovely review. 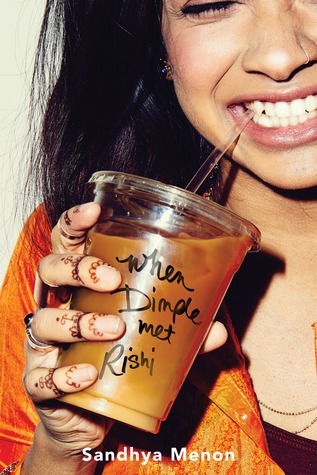 When Dimple Met Rishi is on my TBR list and now I am even more excited to read the novel. And yes for Dimple's love for vintage things! Amazing review, Brittany! This sounds like an awesome book, and I LOVE good dialogue. It can seriously make or break a book. I haven't heard about this book, but I will need to check it out. I love a good quick, cute, and funny book! I also enjoy books with rich cultures. Great review! I cannot wait for this book! 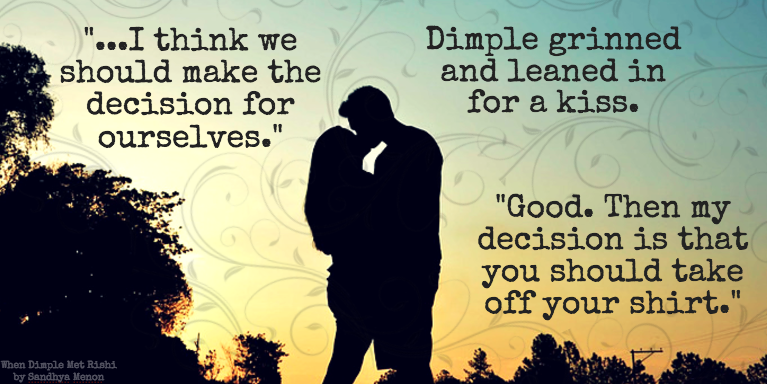 I'm so looking forward to a YA contemporary romance that isn't over complicated. Plus, I want to learn more about the culture! I haven't watched any Bollywood movies and my only reference to the whole culture is the third Cheetah Girls movie, which I'm sure isn't the most accurate depiction. :D Great review Brittany! Yay, I'm thrilled to hear how much you enjoyed this story! I just starting reading a few reviews about it last week and it sounds so amazing! I'm sooo excited about ALL of this! I love witty conversations, Rishi sounds adorbs, AND I love learning about other cultures. I've been seeing this one everywhere, and am super curious about it. Especially since's it's a contemporary romcom, which is my favored genre! 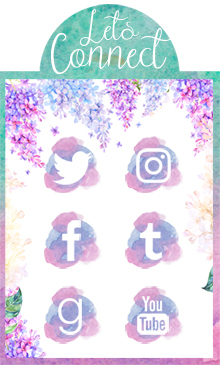 :) Thanks for the review!